A simple server built on Node.js and Socket.io. You can deploy it locally with one command, or remotely with a few clicks. 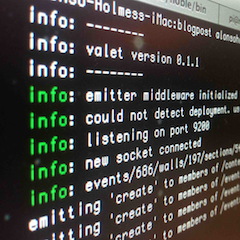 Clever namespaces allow you to use Valet for multiple projects simultaneously.